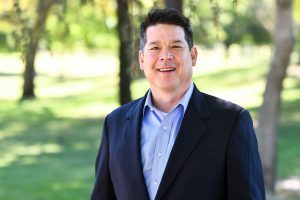 Rep. TJ Cox is a native Californian who has lived in the Central Valley for nearly twenty years, a father of four, and the son of immigrants. As a career engineer and small business owner, and with a passion for community development, TJ’s time volunteering for Habitat for Humanity empowered him to start the Central Valley Fund, raising money to build health clinics, job training sites, affordable housing, and clean power plants in low-income areas of the Central Valley. TJ’s razor-thin victory in 2018 was critical to taking back the House, as the heavily Latino CA-21 was named the first Red to Blue district in the state by the DCCC. Cox won this seat by just 862 votes, or 0.8%. In Congress TJ is a champion for agribusiness, fighting to expand healthcare access and affordability, and continuing to create good jobs. He serves on the House Agriculture and Natural Resources Committees.